Kathmandu-Pokhara Tour (06 Days) - Corporate Travels and Tours Pvt. 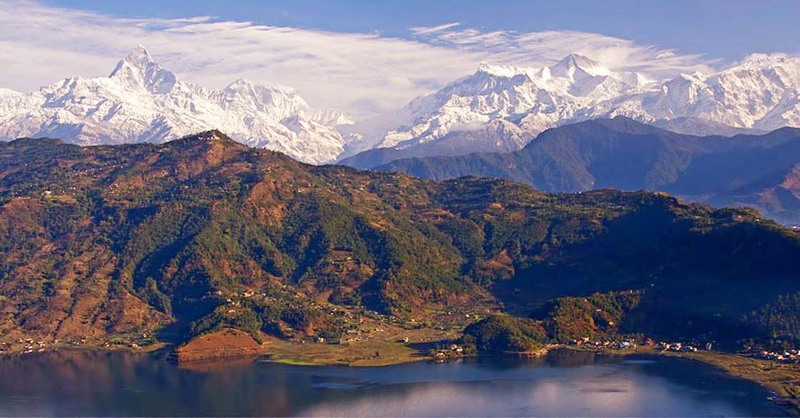 Ltd.
Pokhara is a remarkable place of natural beauty. Situated at an altitude of 900 m from the sea level and 200 km west of Kathmandu valley, the city is known as a center of adventure with several beautiful lakes and offers stunning panoramic views of Himalayan peaks. The serenity of lakes and the magnificence of the Himalayas rising behind them create an ambiance of peace and magic. So today the city has not only become the starting point for most popular trekking and rafting destinations but also a place to relax and enjoy the beauty of nature. Pokhara is part of a once vibrant trade route extending between India and Tibet. To this day, mule trains can be seen camped on the outskirts of the town, bringing goods to trade from remote regions of the Himalaya. This is the land of Magars and Gurungs, hardworking farmers and valorous warriors who have earned worldwide fame as Gurkha soldiers. The Thakalis, another important ethnic group here, are known for their entrepreneurship. Breakfast at the hotel and drive back to Kathmandu by tourist bus or if you wish, board a flight (approx. 30 minutes) by paying about USD 120 extra. In the evening, we will take you out for a farewell dinner at one of the renowned restaurants in Kathmandu offering Nepalese dishes with live cultural show. After dinner, we will drive you back to your hotel in Kathmandu. Accommodation: Deluxe accommodation for 02 Nights in Kathmandu (Hotel Moon Light, Hotel Manang or similar) and 02 night hotel in Pokhara (Hotel Lake Star or Similar) on twin sharing basis. You have to pay extra if you need a single room. Cases may be different for solo travelers and odd number of groups or genetically different peoples travelling together. Transportation: Airport –Hotel –Airport transfer, Kathmandu and Pokhara Sightseeing by Private Car and Kathmandu-Pokhara-Kathmandu by Tourist Bus. Human Resource: A professional and experienced license holder tour guide (English and any necessary speaking), all the expenses for the guide are covered (wages, accommodation, meals, transportation,etc. ).